Reunion Planners/Would you like to help? 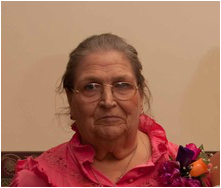 , 75, of Carmichaels, passed away peacefully Thursday, November 13, 2014. Affectionately known within her community as "Miss Peg,"she was raised in Garards Fort and a was graduate of Mapletown High School. During her life, it seemed Ms. Conard's mission was to always help anyone in need. She was especially fond of her time spent as a teacher's aide and bus driver with the Head Start program. She was an aide for her own children as well as her grandchildren. One of her favorite hobbies and interests was tracing her family history in great detail. Her greatest joy in life was her family and being surrounded by them. She considered her children her rainbow and her grandchildren little pots of gold. Deceased are her parents, Frank and Dorothy Vernon; brothers William, Frank and Charles Vernon; and a daughter-in-law, Martha Conard. Surviving are her siblings, Patricia Verna (Art), Sarah Henry (Columbus), Joyce Butcho (Gaza), Shirl Vernon (Neila) and Shirleen Smith (Walter); loving children Matthew (Martha), Terry (Karen), Lori Kozikowski (John), Lisa Patterson (Roger), Ronald, Donald (Theresa) and Richard (Lorraine); 18 grandchildren; and 21 great-grandchildren. Friends and family are invited to attend a celebration of life ceremony from 2 to 5 p.m. Sunday, November 16, in Veterans of Foreign Wars Post 4793, 445 East Lincoln Street, Waynesburg. married Stanley J. Headlee of Garards Fort who died on March 10, 2007. Surviving are two sons, Robert V. Headlee of Rices Landing and Harland R.
home on Wednesday, November 7, 2012. Salem, a daughter of Arthur and Etta McClintock Fearer. Cox of Jefferson; 7 grandchildren; and 25 great-grandchildren. Frank, Darwin, Bill, and Robert (Pete) Fearer. Uniontown High School in 1934, traveling to school from New Salem by trolley. After graduating she worked at Kresges Department Store in Uniontown. living in the towns of Dilliner, Garards Fort, Mapletown, Waynesburg, and Mt. and was a licensed insurance agent. during holidays, traveling, dining-out, and church. Homes Inc., 182 West High St., Waynesburg, where services will be held at 2 p.m. Co-founder and owner of Wayne Lumber Co.
Shirl W. Headlee, 90, of Waynesburg, died at 12:35 p.m. Thursday, September 1, 2011, in his home. He was born Saturday, November 27, 1920, in Garards Fort, a son of the late Mark Headlee and Ethel Rose Headlee. Mr. Headlee was a member of Washington Street United Methodist Church in Waynesburg. He was a life member of Waynesburg Lions Club, being a member for 61 years, and was one of the charter members of Greensboro Lions Club. He was also a member of Waynesburg Masonic Lodge 153 F&AM, Syria Temple in Pittsburgh, Waynesburg Elks Lodge 757, Sons of the American Revolution and Isaak Walton League. Mr. Headlee was a veteran of World War II, having served with the U.S. Army Air Corps. He was a pilot and a flight instructor while in the service as well as after his discharge. He was a former Community Bank board director in Waynesburg. 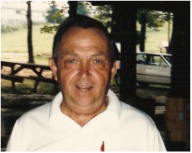 Mr. Headlee was co-founder and owner of Wayne Lumber Co. in Waynesburg, retiring in 1982. While with the lumber company, he built more than 200 homes in Greene County. His wife, Margaret (Peg) Duesenberry Headlee, whom he married April 19, 1946, died November 30, 2007. Surviving are two daughters, Deborah Johnson and husband the late Charles Johnson of Waynesburg and Wendy (Ralph) Bouchard of Waynesburg; two sons, Joseph (Linda) Headlee of Waynesburg and Mark (Charlotte) Headlee of Waynesburg; eight grandchildren, Craig Headlee, Scott Headlee, Joseph Headlee II, Amy Broadwater, Spencer Johnson, Lauren Beiter, Mark Bouchard and Tressa Everett; 19 great-grandchildren; a sister, Gladys Brewer of Waynesburg; and several nieces and nephews. Deceased are two sisters, Dorothy Vernon and Helen Ida Wade; and seven brothers, Earle C. Headlee, H. Furman Headlee, Russell E. Headlee, Glenn Headlee, Ray A. Headlee, Stanley J. Headlee and Kenneth L. Headlee. Friends will be received from 2 to 4 and 6 to 8 p.m. Sunday in Milliken and Throckmorton Funeral Home Inc., Daryl L. Throckmorton, owner/director, 197 North Maiden Street, Waynesburg, where services will be conducted at 11 a.m. Monday, September 5, with the Rev. William Parker officiating. Burial will be in Garards Fort Cemetery. Graveside military rites will be accorded by representatives of the U.S. Army, James Farrell American Legion Post 330, Veterans of Foreign Wars Post 4793, and Disabled American Veterans Post 123, all of Waynesburg. Waynesburg Lions Club will hold a visitation at 6 p.m. Sunday in the funeral home. The family asks that memorial contributions be made to Washington Street United Methodist Church, 152 South Washington Street, Waynesburg, PA 15370. Information is online at www.milliken-throckmortonfh.com. This is a link to a book online that talks about the early families of Greene County, PA. The Headlee family is mentioned and we get to see a little more detail about Joseph Headlee and his wife Catherine Henderson, as well as other Headlee family members and how they were influential in the settling of Greene County. 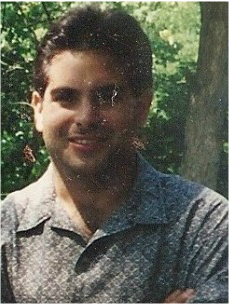 Paolo "Paul" A. Verna, age 47, of Bobtown, Pennsylvania passed away Friday, May 21, 2010 at home. He was born December 6, 1962 in Morgantown, West Virginia the son of Patricia Vernon Verna of Bobtown and the late Arthur "Art" Verna. Paul was a member of the United States Secret Service for fifteen years, then served for two years with Homeland Security as an Air Marshall before being deployed to Iraq where he served in Combat Infantry and received the Purple Heart. He has been a member for over 20 years with the Army National Guard 110th Infantry Division of Waynesburg with the rank of Sergeant. He is survived by his wife, Sandy Bugiera Verna; three children: Paul Anthony Verna currently stationed in Iraq, Nicholas Verna and Nicole Verna both at home; and two brothers: Martin R. Verna of Bobtown and Alex M. Verna of Harpers Ferry, West Virginia. Friends will be received in the LOUIS E. RUDOLPH FUNERAL HOME, Thomas B. Rudolph, Funeral Director and Supervisor, 15 Main Street, Point Marion, PA 15474 (724.725.5256) today (Sunday May 23, 2010) from 7 to 9 p.m., Monday, May 24, from 2 to 4 and 7 to 9 p.m. and Tuesday, May 25, 2010 until 9:15 a.m. when brief Prayers will be said in the Funeral Home. A Mass of Christian Burial will follow at 10 a.m. in Saint Ignatius Roman C a t h o l i c Church, Bobtown, with the Reverend Father Lawrence V. Holpp as Celebrant. Interment will follow in Garards Fort C e m e t e r y, Garards Fort, Pennsylvania where Full Military Rites will be accorded at g r a v e s i d e by Company B, 1st Battalion, 110th Infantry, Pennsylvania Army National Guard. Parish Vigil Service will be held in the Funeral Home on Monday at 8 p.m.
2000 Edythe Headlee Member of Washington Street U.M. Church Edythe Strosnider Headlee, 93, of 161 Baker Ridge Road, Morgantown, W.Va., formerly of Woodland Avenue, Waynesburg, died at 5 p.m. Wednesday, March 15, 2000, in Madison Rehabilitation Center and Nursing, Morgantown. She was born January 27, 1907, in Garards Fort, a daughter of T.J. and Ethel Conway Strosnider. Mrs. Headlee was a member of Washington Street United Methodist Church in Waynesburg. She taught Sunday school and was very active in Mt. Calvary Methodist Church in Garards Fort and later Washington Street United Methodist Church, while her health permitted. 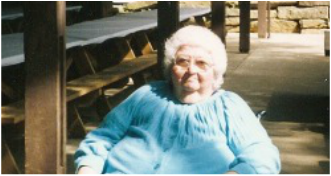 Mrs. Headlee was a volunteer for Hospice of Greene County and Greene County Memorial Hospital and was a homemaker. On November 27, 1926, she married Russell E. Headlee, who died May 8, 1987. Surviving are three daughters, Lois Johnson of Garards Fort, Joan Headlee and Carol Middleton, both of Washington, D.C.; three sons, R. Gene Headlee of Waynesburg, Wayne A. Headlee of Gilbert, Ariz., and Thomas M. Headlee of Waynesburg. ; 23 grandchildren; 23 great-grandchildren; a sister, Betty Wilson of Garards Fort; and several nieces and nephews. Deceased are a sister, Hazel "Dolly" Williams; and a brother, Harvey Strosnider. Russell E. Headlee, 79, of Rogersville, a former assemblyman and lumber dealer, died at 9 a.m. Friday, May 8, 1987, in the Desert Samaritan Hospital, Mesa, Ariz. He had suffered a heart attack on Saturday, May 2. He was born May 22, 1907, in Garards Fort, a son of the late Mark and Ethel Rose Headlee. He lived his entire life in Greene County. He was a graduate of Mapletown High School and had attended Waynesburg College, where he received a Pennsylvania teaching certificate. For 11 years, he served as a school teacher in various county school districts. He was engaged in the lumber production business for 60 years. He was a state assemblyman for the post in 1962. He was a former president of the Greene County Industrial Development Corp. and a director of the Greene County Chapter of the Pennsylvania Economy League. He served on the Greene County Memorial Hospital Board of Trustees. He was a Boy Scout leader in Greene County for many years. He also served on the Greene Township School Board, the Southeastern Greene School Board. He was a member of the Washington Street United Methodist Church and was very active in the United Methodist Church. He was a Sunday school teacher for many years and a certified lay speaker. He was a member of the Methodist Men's Organization. He served as a delegate to the General Conference of the United Methodist Church and the World United Methodist Conference. He also served on the board of directors of the Jumonville Methodist Center. He was a member of the West Greene Area Lions Club, the Masonic Lodge in Masontown, the Warrior Trail Association, the Greene County Historical Society, the Carmichaels Grange and the Fort Jackson Chapter of the Sons of the American Revolution. He is survived by his wife, Edythe Strosnider Headlee, whom he married Nov. 27, 1926; three daughters, Mrs. Clarence "Lois" Johnson of Garards Fort, Joan Headlee of Washington, D. C., and Mrs. Peyton "Carol" Middleton of Washington, D. C.; three sons, R. Gene Headlee of Waynesburg, Wayne Allen Headlee of Phoenix, Arix., and Thomas M. Headlee of Rogersville; 23 grandchildren; 10 great-grandchildren; three sisters, Dorothy Vernon of Garards Fort, Ida Wade of Florida and Gladys Brewer of Headlee Heights; five brothers, Ray A. Headlee of Waynesburg RD 3, Stanley J. Headlee of Waynesburg RD 5, Kennneth L. Headlee of Strasburg, Ohio, Shirl W. Headlee of Waynesburg and Glenn Headlee of Carmichael RD 1; and several nieces and nephews. Two brothers, Earle C. Headlee and H. Furman Headlee, are deceased. A brother, Furman Headlee, is deceased. Earle C. Headlee, 77, of 7401 East Moreland Road, Annandale, Va., formerly of Greene Co., died at 6:26 P.M. Friday, May 9, 1986, in Fairfax Va. Hospital. Although he had been ill, death was unexpected. He was born Aug. 3, 1908, in Garards Fort, a son of the late Mark and Ethel Rose Headlee. He had lived most of his life in Greene County and resided in Virginia for the past 11 years. He was a member of First United Methodist Church of Fairfax. He also was a member of Valley Lodge No. 459 F&AM of Masontown, Pittsburg Consistory, Gourges Lodge of Perfection in Pittsburgh, Syria Temple AAONMS of Pittsburgh, Tall Cedars of Lebanon and Sons of the Americxan Revolution. He had taught school in Greene County for 40 years, retiring in 1967. He later taught school for one year in Nebraska and, for five years in Frederick, Md., retiring there in 1973 after 46 years of teaching. He is survived by his wife, Grace K. Headlee, whom he married July 14, 1928; a son, Harold E. Headlee of Fairfax; three grandchildren; one great-grandchild; three sisters, Dorothy Vernon of Garards Fort, Helen Ida Wade of Washington and Gladys Brewer of Garards Fort, Headlee Heights; five brothers, Russell E. Headlee of Rogersville, Ray A. Headlee of Waynesburg RD 3, Stanley J. Headlee of Waynesburg R.D. 5, Shirl W. Headlee of Waynesburg, Greensboro Star Route and Glenn Headlee of Carmichaels R.D. 1; and several nieces and nephews. CORRECTION The names of two surviving brothers, Russell E Headlee of Rogersville and Kenneth Headlee of Strasburg, Ohio, were omitted from the obituary of Earle C. Headlee which was published Saturday. A brother, Furman Headlee, is deceased. Member of Mt. Calvary Methodist Church Dorothy E. Headlee Vernon, 83, of Greensboro died at 12:15 a.m. Saturday, April 21, 2001, in Greene County Memorial Hospital, Waynesburg. She was born November 17, 1917, in Garards Fort, a daughter of Ethel Rose and Mark Headlee Mrs. Vernon was a member of Mt. Calvary Methodist Church in Garards Fort. Surviving are two sons, Frank E. Vernon of Sacramento, Calif., and Shirl Vernon of Industry; five daughters, Margaret Conard of Carmichaels, Shirleen Smith of Greensboro, Joyce Butcho of Jefferson, Patricia Verna of Bobtown and Sarah Henry of Greensboro, with whom she made her home; four brothers, Ray, Stanley and Shirl Headlee, all of Waynesburg, and Kenneth Headlee of Strasburg, Ohio; two sisters, Ida Wade of Palm Harbor, Fla., and Gladys Brewer of Headlee Heights; 31 grandchildren; 58 great-grandchildren, and a great-great-grandson. Deceased are two sons, Charles R. and William Vernon; and four deceased brothers, Russell E., Earl, Forman and Glen Headlee. 2000 Retired carpenter was World War II veteran Glenn Headlee, 76, of Carmichaels R.D.1 (Khedive), died at 12:20 p.m. Friday, March 3, 2000, in his home. He was born February 23, 1924, in Garards Fort, a son of Mark and Ethel Rose Headlee. Mr. Headlee was a carpenter for Wayne Lumber Co. for 32 years before retiring. Prior to that he was employed by Russell Headlee Saw Mill for 10 years. He was a 1943 graduate of Mapletown High School and had lived in Khedive since 1956. Mr. Headlee served in the U.S. Army during World War II and was a member of Mt. Calvary United Methodist Church of Garards Fort. On September 25, 1943, he married Dorothy Areford, who survives. Also surviving are two daughters, Linda Popernack of York and Victoria Everly of Carmichaels; a son, Gary Headlee of Grayson, Ky.; five grandchildren, Michael, John, and Joseph Popernack and Angela and Jonathan Everly; four brothers, Kenneth Headlee of Strasburg, Ohio, and Shirl, Ray and Stanley Headlee, all of Waynesburg; and three sisters, Ida Wade of Palm Harbor, Fla., and Gladys Brewer and Dorothy Vernon, both of Garards Fort. Deceased are three brothers, Russell, Earl and Furman Headlee. A note about Richard Headley, Jr. The Headlee/Headley family is English. Most of the branches stemmed from the family that lived at HEDLEY-ON-THE-HILL in Northumberland County in the north of England next to the border with Scotland. In the early 1660s, three Headley men came to America. I do not know if they were brothers, but that is the assumption. JOHN HEADLEY settled in Newport, Rhode Island. LEONARD HEADLEY went from the New Haven Colony to settle the new community at Elizabethtown, New Jersey in 1665. RICHARD HEADLEY along with others in the New Haven Colony settled Eastchester, New York also in 1665. Richard Headley was born in 1642 possibly in England, but more probably in either the Boston or New Haven Colony. By the early 1660s he was living in the New Haven Colony near Fairfield, Connecticut. In 1664, he was among the group that moved to and settled the area of Eastchester, New York. At the time it covered most of what is now southern Westchester County and abutted the Dutch Colony in New York. In 1670 he married Hannah Drake. Richard was a carpenter by trade. They had three sons, THOMAS, SAMUEL and ROBERT. Hannah died in 1688. Richard's second wife's name was Mary. They were married in about 1690, at which time they moved to the town of Mamaroneck, some six miles away on the Long Island Sound. Mary was probably Mary Drake, Hannah's sister who was unmarried in 1686 when her father's will was written. Hannah and Mary's parents were Samuel Drake and Ann Barlow. Both were probably born in England, came to the New Haven Colony and settled in Fairfield, Connecticut. They moved to Eastchester, New York and both parents died there. Samuel in June of 1686 and Ann sometime later. At any rate, Richard and Mary had RICHARD, JOSEPH, JOHN and ELIZABETH, all born in Mamaroneck, New York. The last record we find was in 1709 in Mamaroneck. Richard was sixty-seven at that time and probably died soon afterwards. The following is what I know about the seven children of Richard Headley. THOMAS HEADLEY married and had one son, John, who married Mary Waite. SAMUEL HEADLEY married Sarah Dickerman and had Mary, Joseph, Robert, Samuel, Sarah, Rachel, Phebe and Isaac. ROBERT HEADLEY had Robert, Samuel, Phebe who married Thomas Gardner and Isaac who married Mary Frazee. Richard Headley, Junior was the first child born in Mamaroneck, New York and was born out of the second marriage of Richard and Mary Headley. He was born about 1691. Nothing is known about his wife. By 1716, he seems to have moved, like most of his brothers, to New Jersey. He settled in Hunterdon County, New Jersey. Hunterdon was one of the Counties split out of the old East Jersey Colony. Morris County was cut out of Hunterdon County. We will see that the family next appears in Morris County, but that is only because Morris was established. The family probably always lived in the same area. Family tradition indicates that Richard was conscripted into the British Navy, escaped from ship and took refuge in central New Jersey. He was later caught by the English and returned to sea. He was to serve seven years, but again jumped ship and returned to his family in New Jersey. At any rate the family was located in New Jersey through the Revolutionary War. Richard probably died there in the 1770s. Francis Headley was born in Northern New Jersey in about 1731 and died in Randolph County, Virginia in 1805. JOHN CARY who married Mary Hathaway. SAMUEL CARY who married Abigail Trace. He was in Hardiston Township of Sussex County, New Jersey in 1774 and served as a major in the Sussex Company A during the war. After the Revolution, they moved to Washington County, Pennsylvania. By 1796 they had moved to Randolph County, Virginia. JOSEPH HEADLEE who married Sarah Blair. 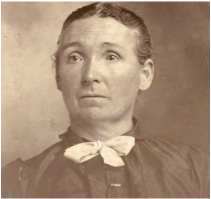 PHEBE HEADLEE who married John Clutter. SAMUEL HEADLEE who married Rachel James. ELIAS HEADLEE who married Catherine Dickson. EUNICE HEADEE who married Benjamin Rowley. HANNAH HEADLEE who married William Weir. AMOS HEADLEE who married Experience Lindsey and then Christine Clutter. It is said he served in the Revolution, but there is no record. After the War, he also moved to Washington County, Pennsylvania and then to Trumbull County, Ohio in 1828. He died there February 22, 1840. John Headlee was born in about 1735 in Hunterdon County, New Jersey. He married Jerusha Mann in New Jersey about 1753. The Mann family was Puritan stock that moved from Boston to the New Haven Colony and then to Elizabethtown New Jersey. John and Jerusha lived in Morris County, New Jersey and then moved to near Princeton, probably in Somerset County, New Jersey. John joined the American Army at the beginning of the Revolution. He became ill in the winter of 1776-77 and died before ever seeing action. He may have missed the actual fighting, but all you kinfolk can join the DAR/SAR on his service. John and Jerusha had five sons and probably a few daughters as well. After the Revolution, several of the children moved to North Carolina and to Virginia. It appears Jerusha went to Burke County, North Carolina with her son Thomas. She was listed there in the 1800 census. Ephraim was born in Morris County, New Jersey January 21, 1758. During the Revolution he served as a private in the Morris County Militia. After the war ended, Ephraim married Mary Fordyce in about 1783. Mary was born near Mount Oilive, New Jersey in Morris County October 19, 1763. She was a daughter of Samuel Fordyce and Elizabeth Huggins. They remained in Morris County until 1795 when they moved to Shannon's Run in Greene County in western Pennsylvania. The Fordyce family moved there as well, Samuel became a Deacon in the Baptist Church. Ephraim built a total of three log homes and ran his cobbler business from them. By 1804, Ephraim was joined by his brothers Joshua, John and Thomas who had all left New Jersey for Burke County, North Carolina before coming to Greene County in Pennsylvania. All in all, Ephraim owned well over a thousand acres in Greene County and left most to his sons at his death. He remained in Greene County until his death on December 6, 1822. Mary lived another 28 years until August 8, 1850. Phineas, Lewis, Enos, Eli, Catherine, Lucy and Rachel Headlee. Nancy, Rachel Caroline, Noah, Elizabeth, Lydia, Eunice, Jeremiah, John, Mary and another son who died as a child. EPHRAIM HEADLEE was born in 1788 and was a sickly, small child who died as a child. Abraham, James, Rebecca, Mary, Lydia, Phoebe, Samuel and Sarah Headlee. SAMUEL HEADLEE was born about 1792. He married and moved to Washington County, Indiana and then Orange County, Indiana. Leah, Harvey, Mary, Nancy, Eliza, Silas and Josephus Headlee. ELISHA HEADLEE was born about 1796 and died as a child. Ephraim, Mary Ann, Justice Fordyce, Stephen, Patty Jane, Lucinda, Rebecca Louisa, Joshua Monroe and Sarah Headlee. Ephraim, Mary, Rebecca, Joseph, Matilda, Sarah, Hester, Nancy, Elizabeth, George and Eliza Jane Headlee. Stanley J. Headlee, age 95, of Waynesburg, Pa., died Saturday, March 10, 2007. He was born July 30, 1911, on the family farm, located between Garards Fort and Davistown, Greene County, Pa., the son of Mark and Ethel Rose Headlee. On July 24, 1937, he married Ardis Ruth Fearer Headlee, who survives. Also surviving are two sons: Harland R. Headlee of Waynesburg, Pa., and Robert V. Headlee of Rices Landing, Pa.; two brothers: Kenneth Headlee of Strasburg, Ohio, and Shirl Headlee of Waynesburg, Pa.; two sisters: Gladys Headlee Brewer of Headlee Heights, Greene County, Pa., and Ida Headlee Wade of Tarpon Springs, Florida; seven grandchildren; twelve great-grandchildren; and three great-great-grandchildren. Deceased are his parents, five brothers, Earle, Furman, Glen, Ray "Mike", and Russell Headlee, and one sister, Dorothy Headlee Vernon. During his early school years, Stanley and his older brothers walked four miles to school each day. During the 1920's and 1930's, he, along with other students from Dunkard and Greene townships, rented rooms in Mapletown so they could attend high school. He lettered in basketball, football and track all four years. He was named "All County Quarterback" both his junior and senior years. He set a record at the Greene County Track Meet in the javelin throw, which stood for many years. He also played in the school orchestra and sang in a quartet called "The Greensboro Harmony Boys". After graduating in 1931, he made five trips to a farming area north of Dodge City, Kansas, to work in the wheat fields. He and his companions toured the West, even mining for gold in the Rocky Mountains. On one trip, they walked up Pikes Peak. One of his first jobs in Greene County was working for Greene Township breaking rock for fill on the Garards Fort Road. He also worked for R. G. Johnson, sinking the shaft at the Robena Mine Complex near Cabbage Flats. He attended college at Westminster, California and Waynesburg and graduated with a Bachelors Degree. He taught school at Davistown Elementary and at Mapletown High School where he also coached football. He later left teaching to become a District Sales Manager in Greene County for Farm Bureau Insurance, which changed its name to Nationwide Insurance. He was transferred to Allegheny County where he supervised fifteen sales agents in southern Allegheny County from his office in the Clark Building in Pittsburgh, Pa. He and his agents set records in production each year for the four years he served as manager in the southern Allegheny District. In 1956, he opened his own insurance business in Waynesburg named The Headlee Agency. Over the years he increased the volume of his business by purchasing the Vance Agency in Mount Morris and the Titus Insurance Agency in Waynesburg, Pa. Eventually he added real estate to his agency's services. He was involved in several major real estate developments in Greene County. He brokered the site location for a developer, which resulted in the construction of the Greene Plaza located near interstate 79 at Waynesburg. He was contracted by the Pennsylvania Department of Transportation (PennDOT) to appraise the right of ways for the construction of Interstate 79 from Mount Morris to Marianna. He completed appraisals for the Department of Federal Housing of Greene County and for Franklin Township. He was also involved in appraisal work on Ryerson State Park and for the Hughes House in Jefferson, Pa. He and Glen Arnold of Arnold Real Estate worked with United States Steel in acquiring land for the Kirby Mine as well as railroad right of ways from Kirby to the Monongahela River near Alicia. United States Steel Representatives offered both men the opportunity to option up the properties; however, they declined as they felt it would be unfair to the property owners, the same people they had done business with for many years. Mr. Headlee was a member of the Washington Street United Methodist Church in Waynesburg where he served on the Administrative Board and sang in the choir. While living in Garards Fort, he was a member and Sunday School Superintendent at the Mount Calvary United Methodist Church. He served as Chairman of the first sewage authority in West Franklin Township. He was a member of the Benevolent and Protective Order of Elks, Waynesburg Lodge No. 153 Free and Accepted Masons, the Scottish Rite Valley of Pittsburgh, Syria Temple of the Shrine and also The International Order of Odd Fellows. He was also a member of The Sons of the American Revolution, The Patriotic Sons of America, Rotary International, and the Waynesburg Chamber of Commerce. He enjoyed hunting and golf and was an avid Pittsburgh Steelers fan. He and his wife vacationed in Clearwater, Florida, during the winter for 17 years. Joseph Headlee, farmer and stock-grower, is descended from the early settlers of Greene County. He was born September 9, 1834 and is the son of Jesse and Maria (Cox) Headlee. His mother was a native of New York. His father was born in ths county, was eminently successful as a farmer and owned 400 acres of land at the time of his death, March 15, 1876. Of his ten childre, Joseph is the fourth and was reared on the farm in Perry Township. Mr. Headlee is an energetic, industrious farmer and owns ninety-three acres of well improved land where he resides, near Mount Morris, Penn. He was united in marriage in Greene County, in 1869, with Catherine, daughter of Alexander Henderson. Her mother's maiden name was Catharine Lemley. To Mr. and Mrs. Headlee were born four children, viz: Earnest, Clyde, Mark and M.D. Mr. Healdee has been a member of the Methodist Episcopal Church since 1852. He is a member of the board of trustees, and take great interest in the welfare of his chosen denomination. he was drafted in 1863 and served his regular term in the army. Mr. Headlee is a member of the G.A.R., belonging to the Jesse Taylor Post, No. 450, of Mount Morris, Penn. Cemetery, located on the Fred Fox farm in Perry Township, 3/4 mile SW of Mt. Bruce & William Lemley, in October 1991.